This is a nifty little event that aims to connect bloggers, so I’ll be taking part on September 28. 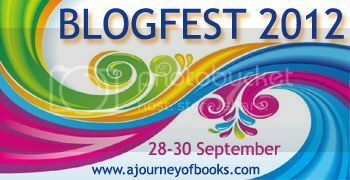 BlogFest is a blog run of sorts. A list of participating blogs will be provided on September 28, each offering a fantastic giveaway for readers to enter. Each blog will link to another, pulling readers through the fantastic party the hosts will have set up. If you’re a blogger, come and play! You might even win an advanced copy of Balilicious!